Why Get an NP Certificate After Earning Your MSN? Online Degrees | Master's | Post-Master’s Nurse Practitioner Certification | Why Get an NP Certificate? Why Get an NP Certificate? Many of the healthcare professionals who choose to enter the nursing field do so because they want to positively impact the health outcomes of the people in their respective communities. 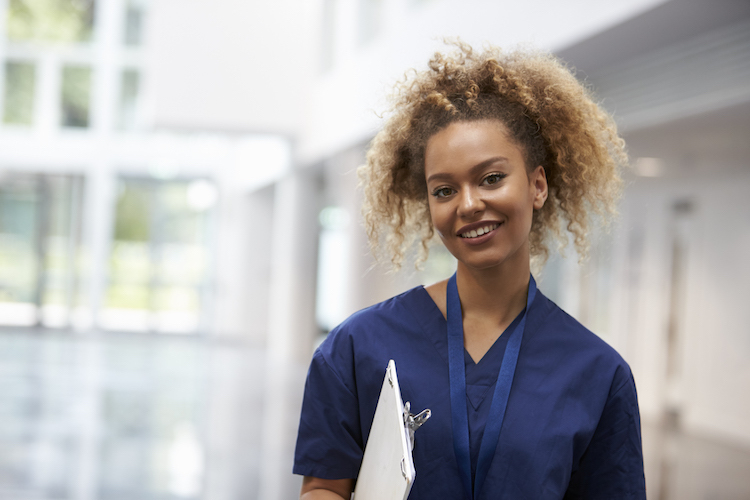 With this in mind, nursing professionals looking to grow professionally should consider the value of pursuing educational opportunities to boost their clinical skills and knowledge of nursing care methodologies. After earning a Master of Science in Nursing, some nurses may wish to expand their healthcare skills by earning a nurse practitioner (NP) certificate. Assess: Identify the clinical problem that the patient is facing. Ask: Define a specific question that must be answered before administering treatment. Acquire evidence: Find prior research data that can be used to inform potential treatment strategies. Appraise: Determine the validity of the evidence in order to prove how useful it will be in a clinical scenario. Apply: Incorporate the evidence into the treatment process by balancing the information available from the nurse’s own clinical expertise and the evidence. Audit: Evaluate how successful the treatment was with the patient. Evidence-based practice involves blending clinical knowledge with evidence derived from systematic research in the effort to plan and implement effective health care interventions. Certified nurse practitioners must develop a sense of how to effectively balance the two knowledge sets in real-world scenarios. One of the most troublesome obstacles that currently limit the United States’ healthcare system is the lack of qualified nursing professionals actively working in the field. There are several reasons for this, including the unprecedented growth of the United States’ population. Additionally, modern medicine allows people to live longer than they ever had in the past. The healthcare community has simply been unable to educate and train enough nursing professionals fast enough to fulfill this demand. Additionally, a third of the current experienced nursing demographic is approaching the average retirement age. Therefore, a new generation of educated nursing professionals will be needed to fill their shoes. But this need is not limited to registered nurses. Hospitals across the nation need skilled nurse practitioners who can safely administer advanced levels of care and mentor the generation of nurses who will follow them. Advanced nurse practitioner programs may also feature a unique perspective on the pressing issues that currently face healthcare systems across the nation. Because certified nurse practitioners usually specialize in a particular area of practice, they may need to know more about problems that impact their specific fields. Beyond learning about these issues, they will also need to learn how to effectively lead their colleagues toward solving them as well. In order to lead effectively, nurse practitioners should understand how to manage relationships and positively influence the behaviors of their colleagues. This means they will need to hone their interpersonal communication skills and capitalize on opportunities to mentor other nurses. In doing so, they will be able to help promote better team relations and develop a culture of effective communication. With the lines of communication open, nurses and nurse leaders will be able to better identify and solve the problems that face their institutions. The primary reason most educated nurses choose to pursue an NP certificate is that they want to focus their nursing careers on a specific area of practice. In some instances, it may be possible for registered nurses to find work in common medical fields, such as pediatrics, family medicine, mental health, and geriatric care. But the scope of work they are allowed to perform is severely limited without NP certification. With an average completion time of a single year, the requirements for earning a nurse practitioner certificate program should be more manageable than terminal degree programs, such as the Doctor of Nursing Practice. In addition, by incorporating a nurse practitioner certificate into his or her resume, a nurse may be able to open the door to a more focused career specializing in advanced nursing practice. In that sense, the nurse will be able to provide advanced care to a patient demographic that best suits his or her professional interests. Nurses who want to advance their careers with an NP certificate may want to learn more about Maryville University’s online Post-Master’s Nurse Practitioner Certification program. NP certificates can lead to a number of different specialized nurse practitioner careers. Learn more about nurse practitioner career options.